Danny, at the time a Cuban American engineer, and Lindy, an English dance teacher met and married and felt it was much more than a coincidence, God must have had a “plan”! They grew closer to Him, understanding who Jesus is and what He has done for them. Lindy’s study of the Bible took her from secular dance to a call to full-time ministry. As they started learning how to listen to Him, they wanted to say “Yes” to His plan for their lives and be willing to GO wherever He wanted them to GO, and do whatever He sent them to do. After many years of engineering project management in the corporate world, Danny has since 2005 dedicated his life to serving Jesus as full-time President of Wheresoever Ministries. Danny and Lindy are both pastors in the Foursquare Church. More information about them individually is included at the bottom of this webpage. 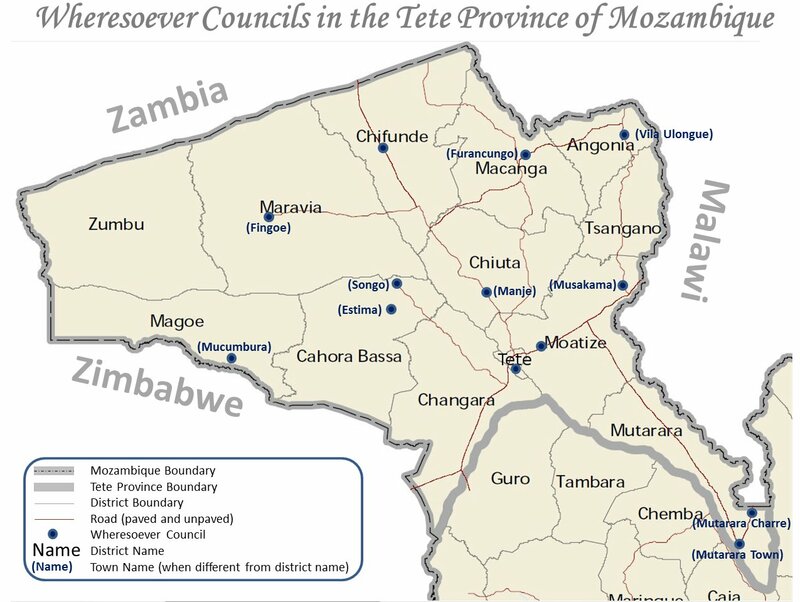 The Wheresoever Southern Africa Core Team generally resides at the Mission Base in Vila Ulongue, Tete Province, Mozambique, but are lately getting more spread out expanding to Malawi and Tete city. They are responsible for all ministry to the Mozambique and Malawi populations, and also for the training and mentoring of the Wheresoever Councils and local pastors. The Southern Africa ministry is concentrated in the Tete Province of Mozambique, with overflow to Malawi, Swaziland and the rest of Mozambique. In the future, it is expected to better cover the overflow areas and also expand to cover other Southern African countries. God has blessed this team, together with the USA team, with more than 100,000 salvations and well over 300 new churches. We are waiting with anticipation to see what He does through them in the future. The team is led by three people, Pastor Kenneth Luwis Malunga and his wife Apostle Enesia Chitheka Malunga, pictured at the right, together with Pastor Christiano Ntazakulima. In addition, Moses Chimwaza has moved with his wife Eunice to Lilongwe, the capital city of Malawi, to launch the Wheresoever ministry there. In each area that Wheresoever ministers in, a Wheresoever Council is organized consisting of local pastors that are respected and trusted in the local Christian community. The map on the right shows the Councils in place as of June 2015 (blue dots). The only Councils not shown there are two in Malawi and one in Swaziland. When there is no local Christian community, we find the nearest pastors who are willing to take responsibility for the area, even if they live some distance away. Initially the Wheresoever Core Team will go find the lost and lead them to Jesus. Each Council is then responsible to disciple and equip the new Christians, expanding their denominations to provide leaders and start churches wherever there is a concentration of new believers. The Core Team will then teach, train and mentor each Council to evangelize directly, with help from the Core Team decreasing over time. Danny was born in Cuba in 1950, and has fond memories of his childhood. He was the middle child in a family of seven, two brothers and a sister older than him, and two brothers and a sister younger than him. His parents and all brothers and sisters were also born in Cuba, a devout Roman Catholic family. When he was ten years old, after Castro took over in Cuba and led the island into communism, Danny and his two older brothers were sent as Cuban refugees to Miami to live with cousins. The family was reunited in Miami within two years. That is where Danny spent his teenage years through high school. In 1972 Danny graduated from Case Western Reserve University in Ohio with an Electrical Engineering degree. He embarked in his 32-year “high-tech” career in the corporate world, not knowing where God was leading him. The last two firms were for 7 years and then 16 years . Of the 23 years in these two firms, he lived approximately half the time in USA and the other half in England, and spent a lot of time working in Sweden. His corporate career started in software design and evolved to a strong project management background, running many large complex multi-national projects. Danny and Lindy were married in England in 1989, sensing that God was bringing them together for a purpose. Marrying Lindy led Danny to the Anglican church. In 1994 Danny had a strong encounter with Jesus where he began to understand the concept of having an intimate relationship with Jesus. The world was turned upside down and since then Danny and Lindy have been whole-heartedly pursuing God together, truly seeking Him. Danny and Lindy’s home church is now Hope Chapel, a Foursquare church in North Carolina, USA. For a few years they attended Vineyard Fellowships, and they have a great affinity for all lovers of Jesus. 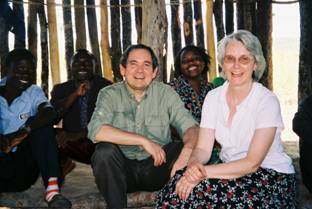 From the first trip to Mozambique in January 2004, God had been prompting Danny to get much more involved in His divine plan for that area, and Danny had been busily arguing that he could finance many missionaries who would probably be much better suited to the task. It should not have come as a surprise when in early 2005 the employment situation changed and Danny decided to leave the corporate world behind and be obedient to God’s call. Danny and Lindy were then free to follow His call Wheresoever it leads. That step into the “living by faith” world is very scary when you have no experience of it, but by faith it has become so much more fulfilling than corporate life ever was. And seeing God’s provision on a daily basis has really built up Danny’s own faith. Danny’s faith was also greatly strengthened from witnessing and taking part in the work of the Holy Spirit with many healings, deliverances and other signs and wonders. 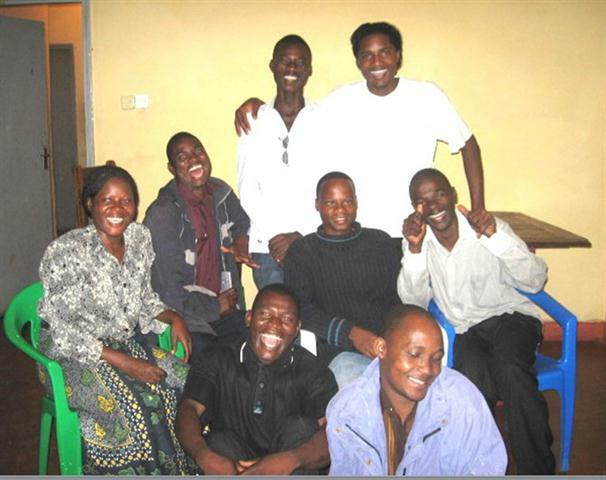 Danny, now a licensed Foursquare pastor, can see looking back that many of the abilities such as leadership, budgeting, and interpersonal skills developed and matured during the corporate years are now being used to accomplish God’s purposes through Wheresoever Ministries, particularly in the mission field of the Tete Province of Mozambique. The ministry base in the USA is located in Raleigh, NC. 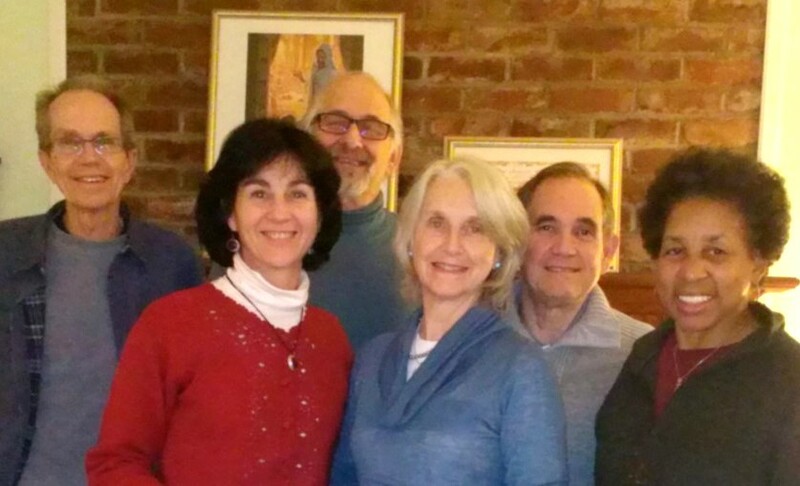 The team in the US consists of the founders, Lindy and Danny, and a number of other loving part-time volunteers who help with the ministry activities in the US. The team attends different churches in the area, we love the resulting diversity. The Wheresoever team in the US is often asked to share about missionary experiences or minister the Word at various churches. Prayer is an important focus area with an email Prayer Distribution List with members all over the world, and at least weekly praise / worship / intercessory prayer / soaking at the US mission base. See the GET INVOLVED page for more information. Administration of Wheresoever world-wide ministries, including accounting, book-keeping, website support, fund-raising activities, research, and coordination of ministry activities around the world. Part of the Wheresoever team loves to praise and worship using Christian Dance and/or flags, and often minister at various locations using the arts - churches, detention centers, retirement homes, outreach events, etc. - Pardoned by Christ - Prison ministry. - Church in the Woods - Ministry to the poor and homeless. - Clubs in the City - Ministry to at-risk inner city youth. - With Love From Jesus - Support the poor with food/materials/Gospel. - Hope Chapel Apex - Support church missions program, evangelism, etc. - New Bethel Church - Worship team member and often leads. Lindy has been involved with dance and drama most of her life. Her mother was an ice skater who “danced on ice”. She enrolled Lindy in dance school at the age of three on Malta, the island Paul was shipwrecked on in one of his journeys. Her father was in the Royal Navy and the family had several relocations in Malta, Australia, and England. 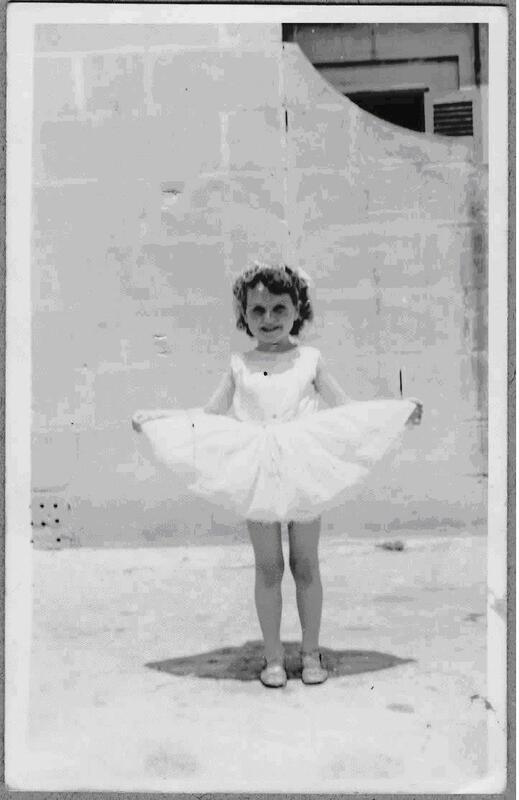 As an adult, Lindy was amazed when she found a picture she drew as a very young child - it was a ballerina and a church. After formal training, Lindy founded dance schools in England and served as a choreographer, lecturer, and teacher to professional and regional companies. She has taught in schools and universities in England and the USA. Lindy has served as an administrator on regional arts groups, and she has served on advisory panels to the Community in Northern England. Lindy has been amazed by what God has done with this training and experience when she turned it over to Him. Lindy is qualified in many styles of dance including ballet, modern, historical dance, national dance, movement and music, tap, ballroom, dance, drama, and dance history. She has worked with children, youth, and adults, both amateur and professional. Lindy attended an International Christian Dance Conference in 1994 where she saw Christian dance for the first time, men and women worshiping God with their whole being. She had a life changing experience. Lindy began training in Christian dance courses to expand her understanding of the healing grace available to us through worship. In 1996, Danny’s work took them to America where doors opened for further training in Christian leadership. Lindy overcame many fears and she feels her deepening relationship with Jesus through prayer and study equipped her for her future work for the Lord. In 2001, Lindy was licensed as a minister in the Foursquare Church. In March 2000 Lindy went on her first mission trip with a small group where she began to understand God’s heart for the lost. 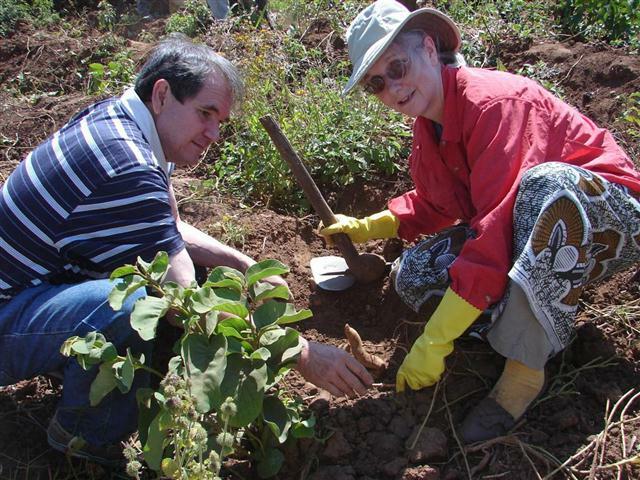 She began to travel nationally and abroad in response to invitations to minister at conferences, workshops, schools, and churches and is still continuing with this work. The other aspect of God’s call came into view with the beginning of the “GO” ministry journeys as the Lord started pinpointing countries and sending Lindy and Danny into over 30 nations. Lindy now has a strong call to preach and teach the Gospel wherever the Holy Spirit leads, and encourage Christians to worship God more freely and intimately. Touching the hearts of man, holding their hands. Calling back love from man woman girl boy. Returning love to You, joyous, complete. Lindy Bravo A. I.S.T.D. (Adv). Diploma L.C.D.D.